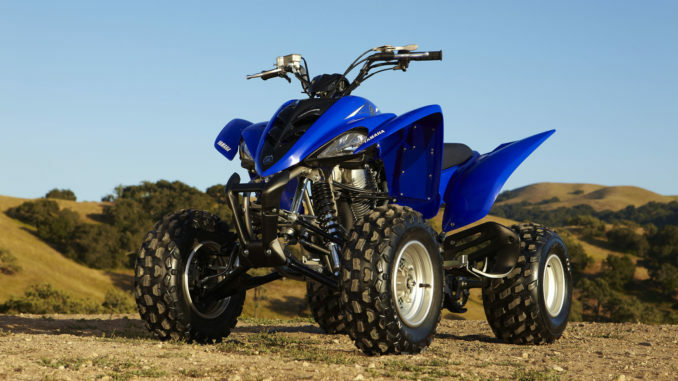 A downloadable Yamaha Raptor repair manual, termed Raptor service manual or online workshop manual, is a digitally transmitted book of repair instructions that is electronically delivered to your computer within seconds. It’s a handbook that covers all aspects of Yamaha Raptor repair. In terms of appearance, a downloadable Yamaha Raptor repair manual is no different than a printed book you’d buy in a store. However, while a digital manual obviously doesn’t consist of pages glued together along one side and bound to covers, it does have convenient clickable chapters that quickly navigate the user to the desired maintenance, repair or troubleshooting procedure. Lock washers, plates and cotter pins info. Disposing of front shock absorber and gas cyl. Each chapter contains complete part removal, inspection, cleaning, assembly, installation and testing procedures. Images and tips are provided throughout the manual to ensure the user completes the repair work successfully. Downloading a Yamaha Raptor repair manual is easy. And no special software is needed to download the manual and view it. Once downloaded, the manual can be saved to your computer, tablet or smartphone forever. So what are you waiting for? Download a manual instantly and fix your problem now! Hello! Do you have a manual for 2010 Raptor 250? There are manuals for the following models. If you see one missing let me know and I will add it.